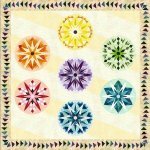 We are excited to announce Quiltworx’s very first Block of the Month program called Candy Coated Snowflakes for 2019! 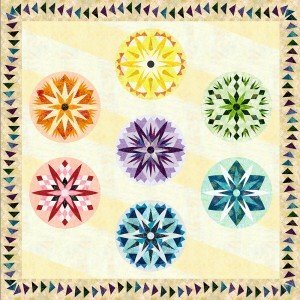 Available exclusively through retail shops for Quiltworx. Come pick up your monthly fabric kit, then join us for a quick demo class and sit and sew up your blocks! This is an eight month program, starting May 15th through December 18th and will be the 3rd Wednesday each month . There are 2 colorways that we can put a kit together for you or you can create your Own colorway using the design program called Quiltster! ~ you get 1 Month Free or $15 off an annual membership as part of enrollment to this class! Ask us for details! Requirements: You will need to purchase the pattern and fabrics for this class.